I regularly have emails come that have deals on certain books. 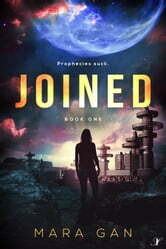 I saw Joined and the blurb seemed interesting, so I purchased it. Best decision I have made in quite some time. This book reeled me in from the first chapter and took me for quite the ride. I absolutely loved it and cannot wait for the next one! Well worth the read!